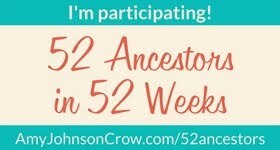 When we got back from our Texas road trip last week, I quickly mailed out my Genealogy Society's March press release. I didn't want to forget or get it to the newspaper too late. I sat back with a big "Ahhhhh". Not exactly how I wanted to spend my Saturday. But glad it didn't happen during the week. I work 10 hour days and when I get home from work, I don't even turn on my computer. The speaker that can't make it in March will be coming to our June meeting. One of our members has stepped up and will giving her presentation on Working With Old American Handwriting. Should be interesting, I'm looking forward to it.